NASHVILLE, Tenn. – The Tennessee Volunteers could be a handful for opposing SEC defenses this fall, but their own defense remains a work in progress. 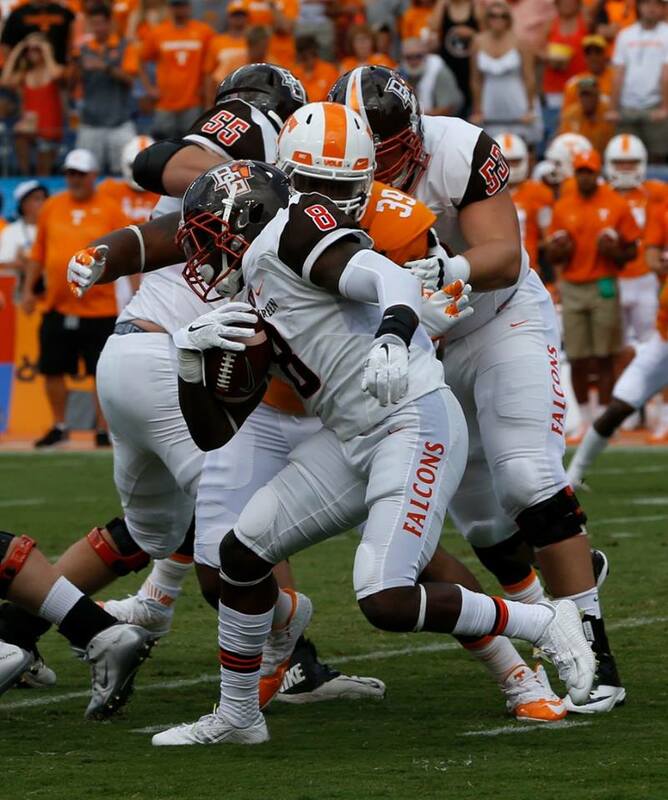 The Vols rolled past the Bowling Green Falcons at Nashville’s Nissan Stadium earning a 59-30 win in which they ran for six touchdowns on the day. They rolled up nearly 400 yards on the ground en route to 604 total yards. For most of the day, they needed every yard they could muster because the Falcons kept the heat on well into the third quarter trailing just 42-30 at the 4:26 mark of the period. The Vols would finally buckle down on defense while scoring the game’s final 17 points to get the win over their visitors from the MAC. The Falcons, however, rolled up 557 yards of offense on their own as quarterback Matt Johnson passed for 424 yards while spreading the ball around the field to 11 different receivers. Tennessee was burned by several big plays along the way.